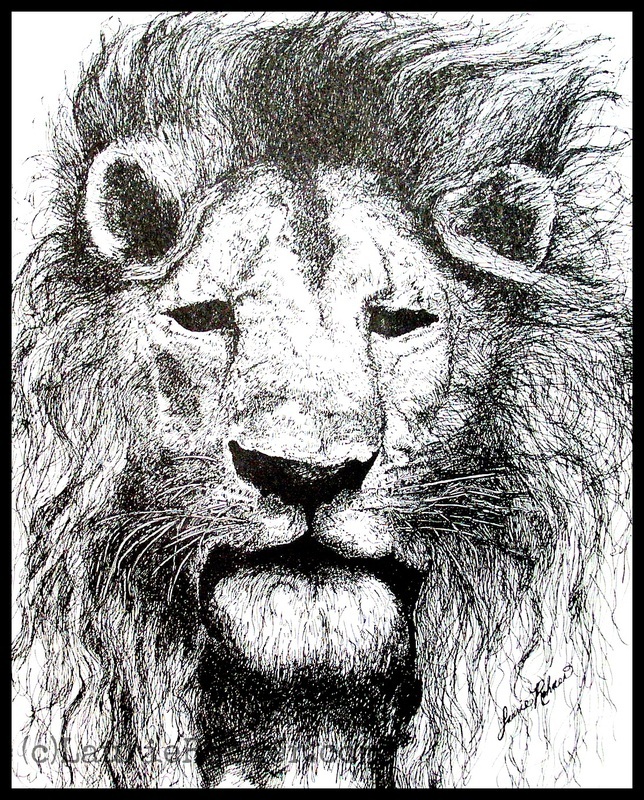 Nature Art black and white pen and ink detailed drawing of Lion and Mane titled A Lion's Stare. IPhone case available. 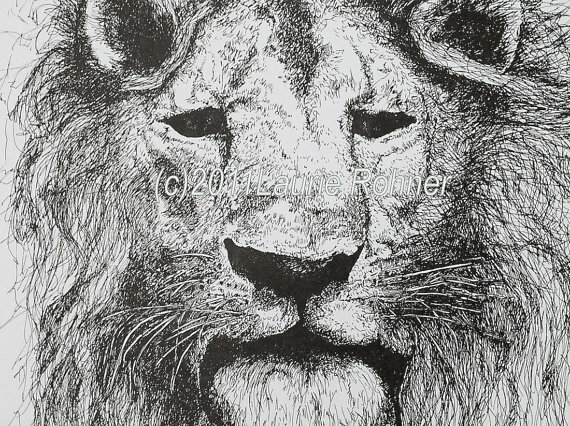 Nature Art illustration of lion with a wild mane is an ink detailed print of original drawing by Laurie Rohner. 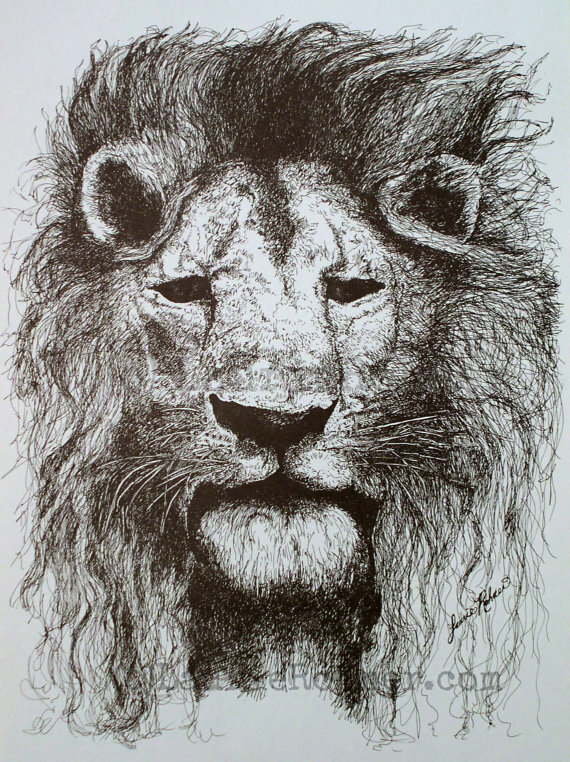 Lion with Mane is a black and white reproduction print. This print is also offered at my Laurie Rohner Studio Print Shop at Fine Art America in other sizes and phone cases. See Footer. The mane on the lion is wild and blows back from his majestic face as the breeze comes off the Serengeti as he watches his pride. His stare is intense and if you move to fast he will easily pounce. It's titled "A Lion's Stare ". Some lovely words about this lion. *Lovely packing, quick and responsive, and of course I love the drawling. The paper size is approx. 14" x 11". The print will fit nicely in any 11" x 14' matte opening or cropped in 8" x 10" opening. Each print is numbered, signed at the bottom. The image shown is what my print would look like in an 8 x 10 frame. I ship the print(s) flat wrapped and in a first class mailer. The paper is high quality professional stock paper. The print is an excellent reproduction of the original. These are the shipping charges and will be reflected in your final bill from paypal prior to shipping.